Comment: Volfoniq is the Frenchman Nicolas Sorbier who has issued a bunch of albums over Internet in recent years. 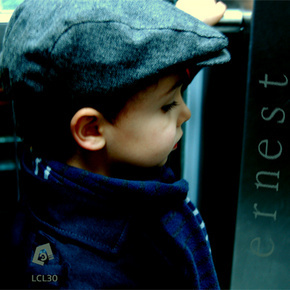 Ernest consists of 11 tracks which used to rely on Jamaican styles of special kind – dub, reggae, raggamuffin. However, all these styles are sprinkled with some European sounds – accordion chords coming out from the streets of Paris, there are also represented the vibes of tango music with electronic frequencies which was widely popularized by Gotan Project. On the other side, the Jamaican styles are interlaced with ethnic drum sounds of Asian origin. In a word, musically it is an iridescent release providing enough delight and some overwhelming turns for your pleasure.